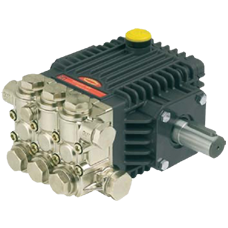 The Emperor line of pumps are made to withstand temperatures up to 185 degrees F, and can run dry for hours. 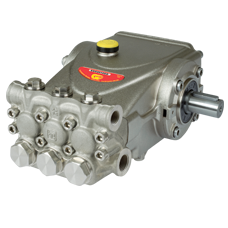 Featuring “high tech” packing and “high temp” valve design, emperor pumps utilize a nickel-plated manifold and valve plugs for corrosion-resistance and reduced cavitation damage. 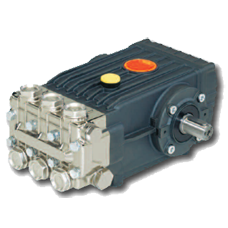 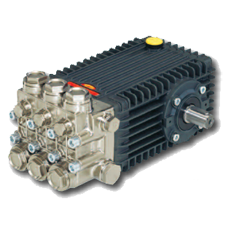 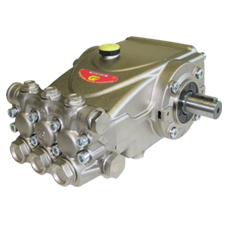 Choose from a variety of different sized pumps for various applications. 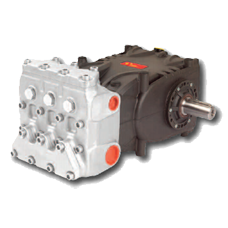 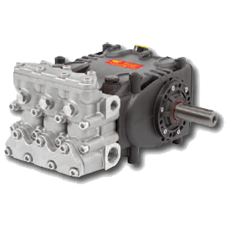 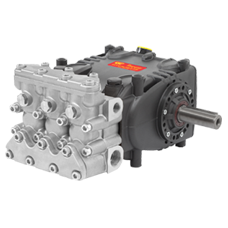 Pump Dimensions: 7.8" x 7.3" x 5.5"
Crankcase Oil Capacity: 11.8 oz. 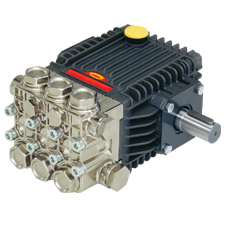 Pump Dimensions: 8.4" x 8.3" x 4.8"
Dimensions With Rails: 8.4" x 8.3" x 5.6"
Pump Dimensions: 10.4" x 8.8" x 5.4"
Pump Dimensions: 13.27" x 9.6" x 6.23"
Dimensions With Rails: 13.4" x 9.8" x 7.5"
Pump Dimensions: 15.3" x 13.4" x 7.7"
Pump Dimensions: 20.7" x 14.5" x 9.9"